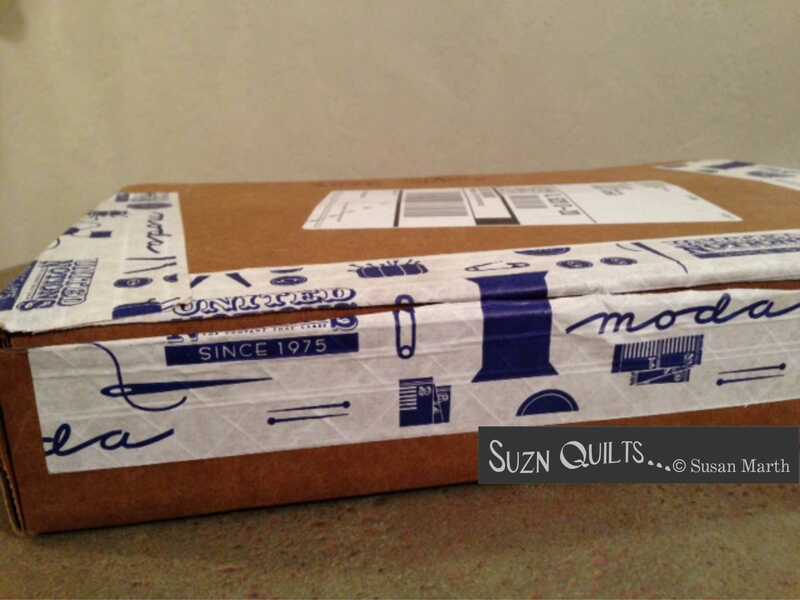 January | 2014 | Quilting my way through life! Did I ever tell you the reason I quilt is so my family doesn’t accidentally die in a fabric avalanche? My name is Susan and I have a fabric addiction. Perhaps I have mine & my sister’s since she also learned to sew from our mom, but she hasn’t been afflicted with the fabric thing. it’s like Christmas morning and I’m a kid again! 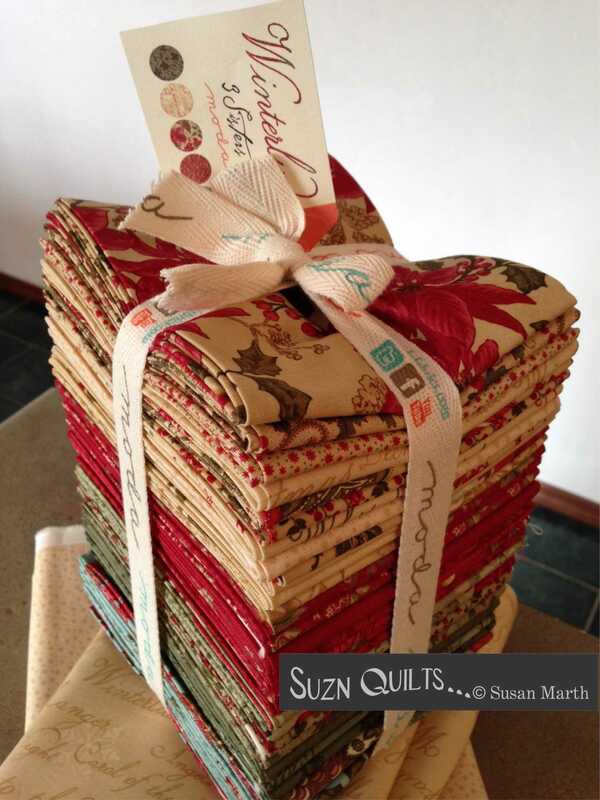 The new Moda Christmas fabric samples are now available. 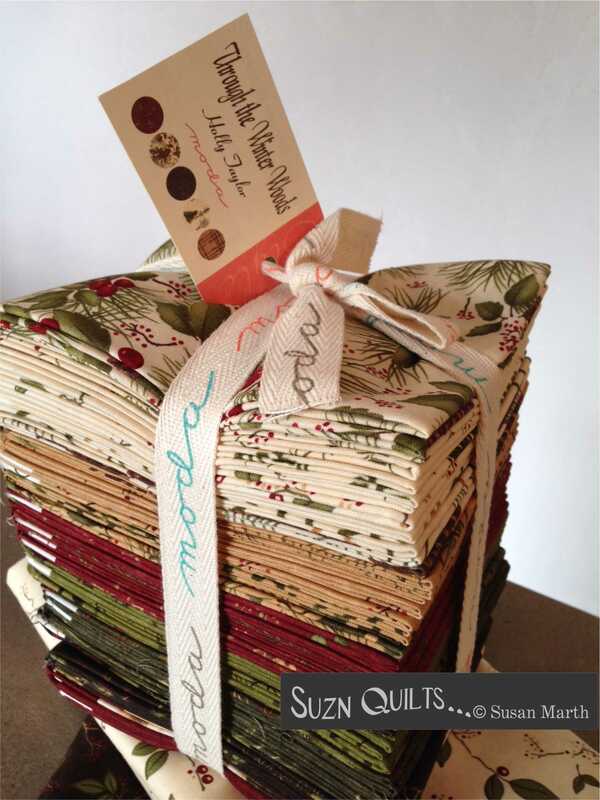 Christmas is my most favorite season and my most favorite reason to quilt. I guess it’s the red/green combination that I’m drawn to, not sure. What I do know is that I have plane tickets for Chloe & me to go to Pittsburgh on May 14, where spring market is this year and I have a lot of work to do! Do you have any requests of patterns you’d like to see? I’ve been working on small Christmas quilt designs. 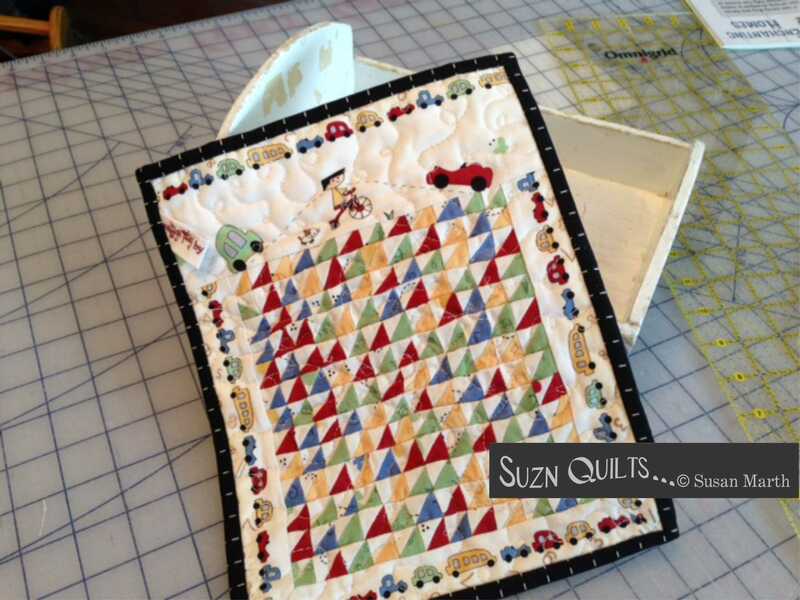 I had so many shops comment on my mini Vintage Play quilt at market. but I thought I’d start there and see where else the spirit leads me! Do you get inspired by the fabric? Not sure where I’m heading, but it’s going to be with some lovely fabric! When it comes to birthdays, everyone is different. I personally think they’re a lot of fun. It was a surprise party for me. My DH turned 50 last summer, and we had a party for him, so it seemed like it would be a bit redundant. and were able to keep it a surprise up until the very moment we turned onto the street. I knew right away what was going on then. I have no clue how they pulled it off without anyone slipping, even a teeny bit. My only out-of-state brother came! My out-of-town college roommate who I’ve remained close with all these years came too! We talked, we ate, we had a lot of fun! It’s no surprise to you I’m sure that I have quilting friends. I have to send them a photo of a finished project by July 15, 2014. Another designer friend sent me the tiny red, white & black 9 patches. They go perfectly with the red & white fat 1/4 & my Vintage Play black road dashes plus she included my Vintage Play red tonal numbers in the center of each block! Whoever said getting old is no fun? Now you know what I’ve been doing. 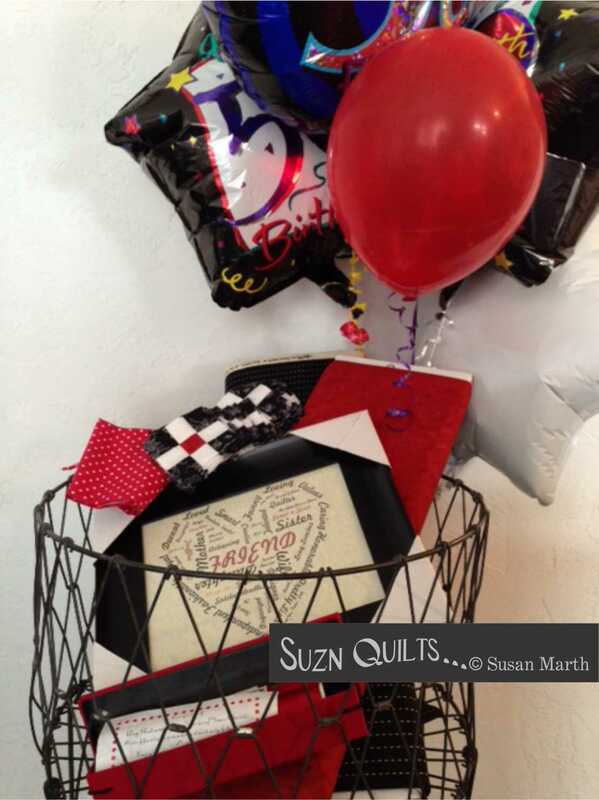 The second annual “Visit Your Local Quilt Shop Day” is Saturday, January 25, 2014! 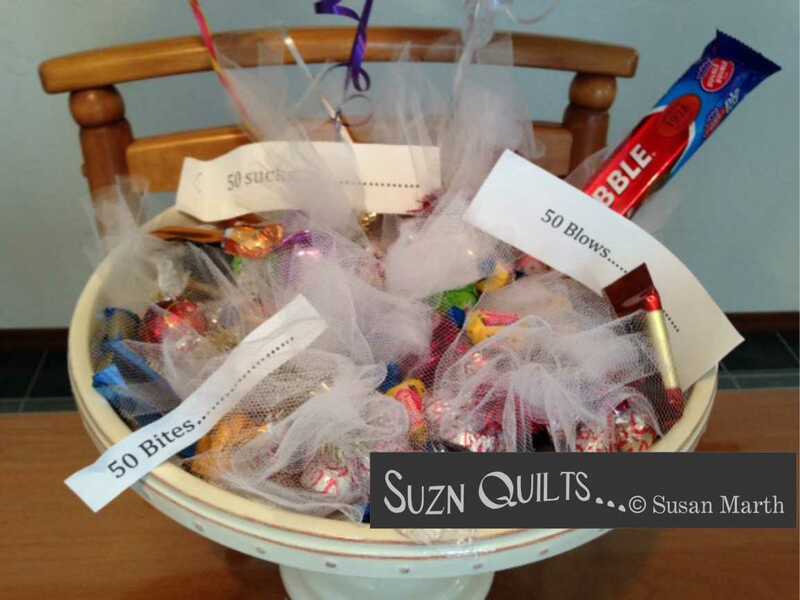 It’s a great way to support your local quilt shop around the world. you will be entered for a chance to win a $100 shopping spree in that store! Winners will be announced in early February. 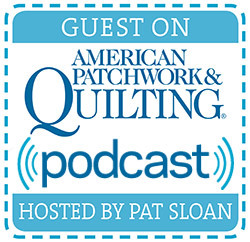 just go visit your local quilt shop anyway and pick out a new project for the new year.